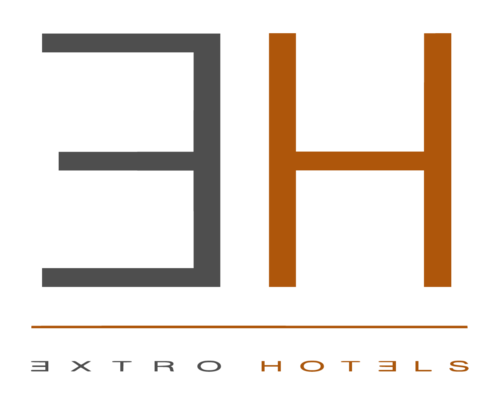 which corresponds to the home page of the official websites of Extro Hotels. This informative note is provided only for the aforementioned website and not for other websites eventually accessed by the user through links. Sending e-mail messages to the addresses mentioned on this website, which is done on the basis of a freely chosen, explicit, and voluntary option, entails acquisition of the sender’s address, which is necessary in order to reply to any request, as well as of such additional personal data as is contained in the message(s). Data will be retained only for registration request to send the newsletters or special offers and will not be disclosed to anyone. The personal information regarding the individual who visited the website is not collected or used. The visitors remain anonymous. The only exception to this rule concerns the information for personal identification needed to fulfill the contractual obligations of reservations on behalf of the user. In the event of reservations made through the website, the user must provide his name, address, telephone number and information regarding the payment manners and credit card used. 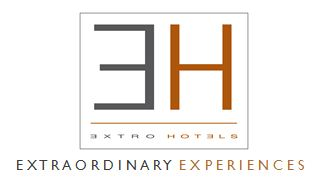 Extro Hotels will use said information only for elaboration of the reservations and to send specific information, which is relevant to the confirmation of said, such as a receipt, the reservation code and the conditions. Any CV received spontaneously, replying to a job advertisement, will be stored directly by person in charge of the processing in accordance with the safety guidelines of personal data adopted in compliance with the security measures ex Chapter IV Section 2 of GDPR 679/2016. Cookie used to statistically analyse accesses/site visits (the so-called “analytic” cookie) that are used for statistical purposes, profiling or marketing, and to collect aggregate information with the possibility of tracing back to the identification of the individual user personal computer. In these cases, since current legislation requires that, when using analytic cookie, the user is given clear and adequate instructions to easily oppose implementation of such (including any mechanisms to make the cookies anonymous), we give instructions on how to disable installed cookies below. The duration of analytic technical cookie is averagely of 30 minutes. Nevertheless, if you block or erase cookies, it may not be possible to reset previously specified preferences or customised settings, and our capacity to customize the user experience will be limite. Except for that which is specified for the navigational data, the user is free to provide the personal data listed in the request forms of Extro Hotels or through contacts with the Office in order to make on-line reservations or to solicit the receipt of informative material or other communications. A lack of conferring this data may cause an impossibility to obtain what is requested. Data subjects are entitled at any time to exercise his rights as provided for in Section 7 of Law 196/03 and Chapter III GDPR 679/2016, in particular, the right to obtain confirmation as to whether or not personal data concerning they exist and the logic applied to the processing, the right to ask for their integration, the right to object to their processing on legitimate ground, and the right to request rectification, updating, erasure (right to be forgotten) or blocking of data that have been processed unlawfully, the right to obtain a copy of the personal data being processed as well as the right to data portability. The requests should be sent to Extro Hotels, by e-mail address: ([email protected]).